Opened in 2009, it is operated by the Santiburi group who run several high class courses in different parts of Thailand. 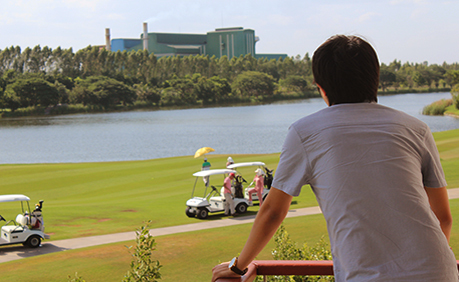 Built on waste land near the Singha Brewery, Singha Park Khon Kaen Golf Club is an 18-holes journey through 9 lakes with fairways that follow the natural line of the land, natural stones, large sand bunkers, and native trees and shrubs that also add to the beauty and golf challenge. The par-72 course, which is set amidst reeds and local red grass, measures 7,502 yards from the championship tees and provides a stern challenge for even the most talented golfers. 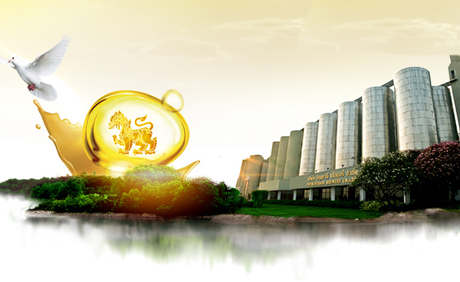 Owned by Bangkok Glass Group, which is recognized as Thailand’s largest provider of glass & packaging, and is at the forefront among its contemporaries in Asia. 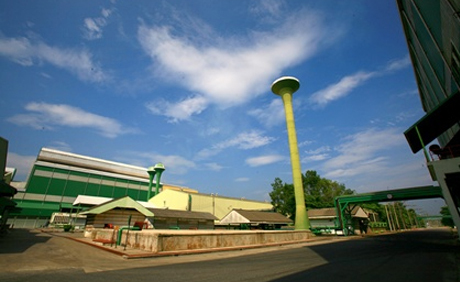 The factory is open for the public to view production process, quality control as well as occupational health and safety that meets global safety standards. The guided tours are offered in Thai and English. Discoveries of the dinosaurs on the Phu Wiang mountains were regarded as important discoveries that made much reputation to the Phu Wiang mountains, especially the sauropod dinosaur namely Phuwiangosaurus sirindhornae named after Princess Maha Chakri Sirindhorn. 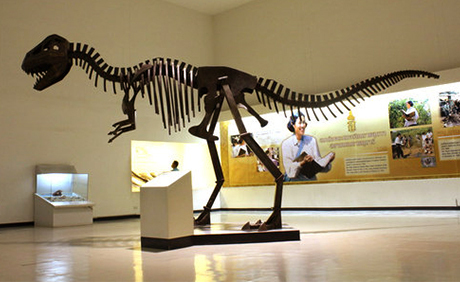 The Phu Wiang Dinosaur Museum has paleontology and geology displays, including full-size models of the dinosaur species that once lived in the area. The museum has composition in versatile activities including research and investigation section, fossil replication and conservation, fossil collection house, library, permanent exhibition, administration office, and service space. Pratat Kaennakorn is in an area where many ancient temples are located. The Chedi (pagodas) was built in the Indochina artistic style with influences of Isaan and Tavaravadi and is called ‘the Great Net’ style. 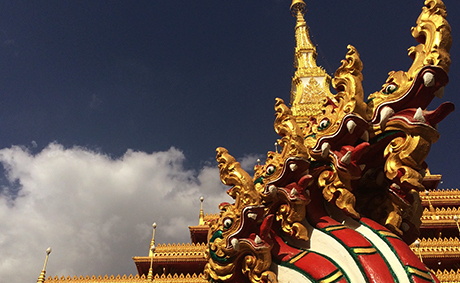 It is in a pointy-triangular shape and consists of nine stories with relics of the Lord Buddha and the Buddhist saints. Visitors can admire the view of the town and the pond from the top of the chedi. There is also a museum nearby displaying the legends and myths of Buddhism and a number of famous Buddhist monks. King Cobra Village Ban Khok Sa-nga in Sai Mun is famous for its strange pets, king cobras kept at every house. The villagers earned extra income by selling herbal medicines by travelling around the villages. 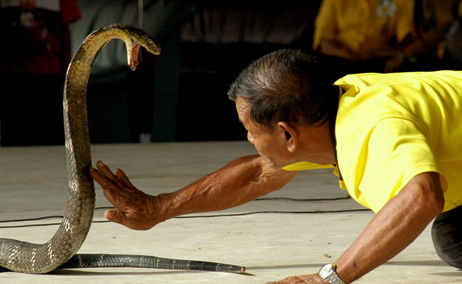 Snake shows are also held at Wat Si Thamma consisting of different demonstrations includes a snake dancing and snake boxing, while King Cobra show historical exhibition and nursery are located nearby.